We know that Digital Signage needs to be simple. Install our App on your device. Connect your device to your TV or Monitor. Add the device to your online web portal and you are good to go! Create, deploy and manage your signage from any device, anywhere. Simple to create. Easy to Manage. How Digital Signage should be. 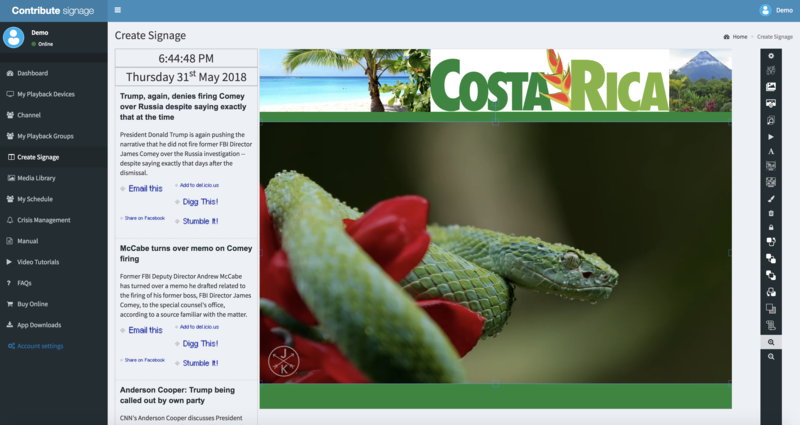 Create your digital signage online in our WYSIWIG editor. Manage your playback devices from any web-enabled device, online, from anywhere. You should not have to be a graphic designer! Our approach to digital signage is that you should not have to be a graphic designer in order to create good looking yet functional layouts. You also should not have to outsource this task to a 3rd party company which costs you money. You should be able to manage, create and update your own digital signage layouts whenever you like, from any browser. 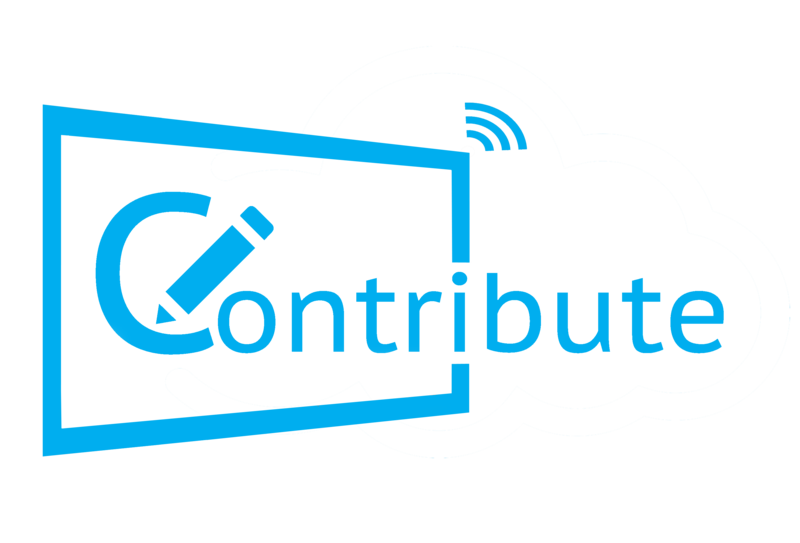 Contribute Signage allows you to do just that. Have full control over your users and what they have access to. Windows and Android Hardware Players available. Manage your signage from anywhere! Manage and update your signage with almost any web-enabled device.